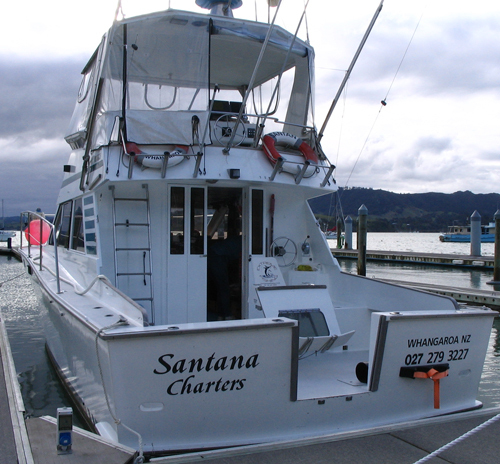 Santana is a 42ft Pelin Columbia built iout of triple skin kauri, glassed over. 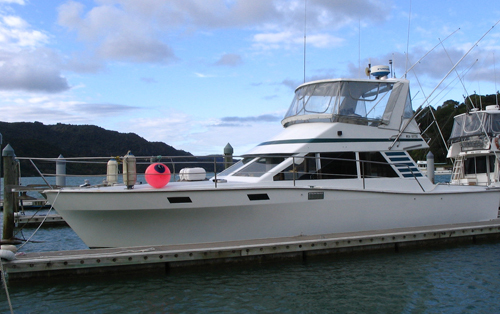 She has a beam of of 4 metres which makes her a comfortable boat and handles the sea easily. 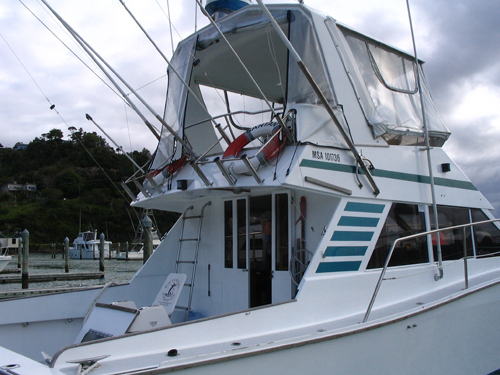 Upon boarding Santana you enter a spacious cockpit with built in live bait tanks, comfortable gamechair for those enduring battles, padded bench seating on either side, one containing the freezer and one of three helm stations. 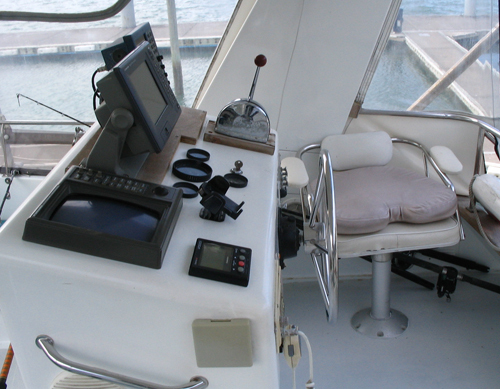 Ascending the sties to the flying bridge which has full standing height there is another helm station and comfortable curved seating half way round the flying bridge. 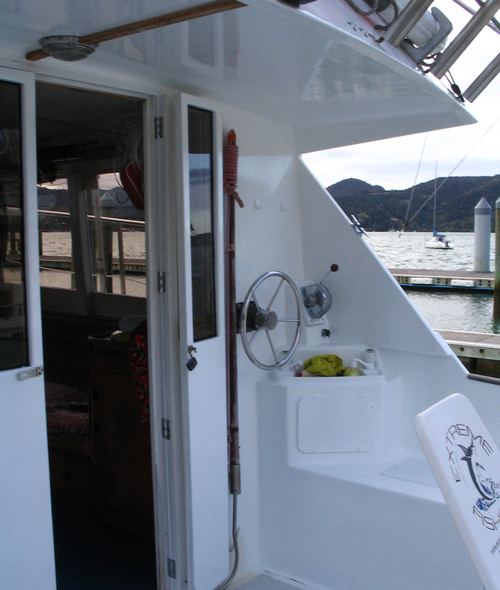 The flying bridge is fully enclosed with clears which all can be wound up to provide 360 degree views of the ocean.